In Japanese, the word sensei expresses reverence to someone who has achieved a mastery in their art. 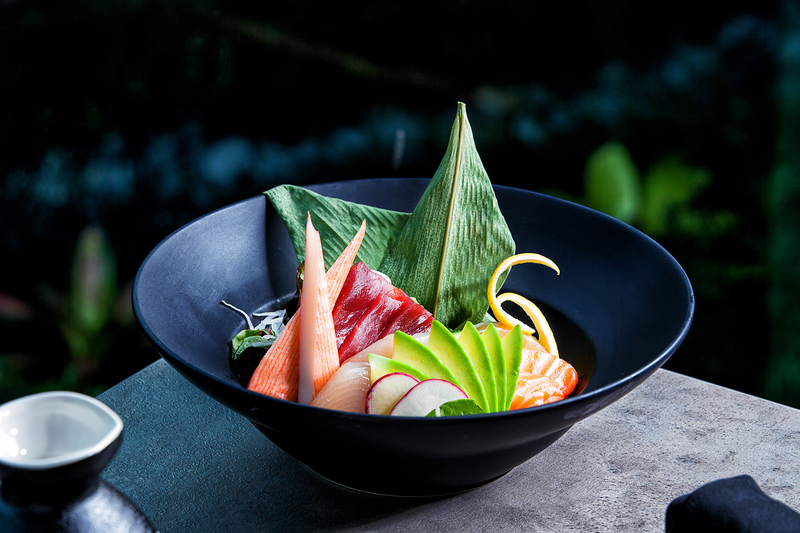 The sensei at Casa Sensei is executive chef Richard Huang, who was born in Thailand. Huang and co-owners Victor and Patricia Diaz are putting their stamp on the Las Olas restaurant scene, taking over the former Bao Bar and Asian Kitchen (1200 E. Las Olas Blvd.) and giving Asian fare a Latin zing. The Casa Sensei menu is a melting pot of Asian-Latin fusion. Huang says the two distinctive cuisines stand on their own, but together, they are natural cooking partners. “Asian and Latin flavors have more in common than you might think,” he says. “Both use spices with intense flavors that complement each other.” Huang says crossover flavors and cooking techniques yield interesting dishes, such as one of the chef’s favorites—Korean steak with chimichurri. 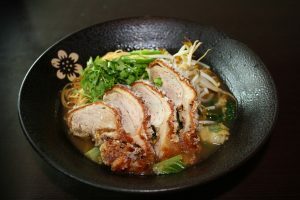 Sensei secret: A Thai-style, five-spice marinade, topped with herbs and spices, is the secret in the sauce of the crispy duck noodle soup (opposite page). The bowl is packed with egg noodles along with the duck, which is infused and soaked in the flavorful marinade. Mexican influence: Victor Diaz didn’t insist on much about the menu, except there had to be guacamole. The Chicago native remembers the comfort of his Mexican mother’s made-from-scratch guac. Huang put a Pan-Asian spin on the appetizer. Casa Sensei’s lobster guacamole is served with flame-grilled lobster tails on skewers and garnished with exotic Asian taro chips. Gondola dine: “We’re the only restaurant on Las Olas that sits on a waterway,” Victor says. There’s outdoor dock seating for dining alfresco. Boaters can cruise in and dine in the restaurant or request the meal be set up aboard their boats. There’s also Riverfront Gondola Tours, which docks at Casa Sensei, for a moonlight private dinner cruise. Some like it raw: More than a dozen chef-driven offerings grace the raw section of the menu, including the delicious ceviche classico (above) with marinated baby shrimp, starfruit, onions, lime and conch. Bao holdovers: Fearing a revolt from Bao regulars, Casa Sensei kept the most popular items from the previous menu. Don’t fear, the Bao buns remain, as does the kimchi fried rice.